The town of Bansko is an internationally renowned mountain resort which attracts numerous tourists from Bulgaria and abroad in all seasons. In Bansko and the region there are 320 accommodation facilities which have more than 16,000 rooms in guest houses, 2-star, 3-star and 4-star hotels and 5-star luxury hotels. Shops offer a variety of goods such as sports goods, fashion goods, items of everyday life, folk crafts and artwork. ATMs are placed at key locations such as public buildings, museums, hotels, and night clubs and near the ski lift. A number of national and prestigious international alpine skiing competitions take place here in the winter. There are ideal conditions not only for professionals, but also for amateurs and beginners. A variety of entertainment activities and attractions are offered both in the town and in the mountain. Outings and hiking trips to natural, cultural, historical and architectural landmarks are organized. Some of these landmarks are unique not only to Europe, but also worldwide. There are opportunities for many sports, including extreme sports. The cultural calendar is full of international festivals, competitions and concerts throughout the whole year. Apart from vacation and team building activities, there are suitable conditions for business meetings, conferences, trainings. For example, Aparthotel Lucky Bansko SPA & Relax which is already a 5-star hotel has hosted the prestigious international fitness festival for three years in a row and welcomed 600 fitness instructors from all over the world in 2016. The town has around 8,000 residents but the constant flow of tourists makes it very busy all year round. The town of Bansko is a well-organized municipality center. 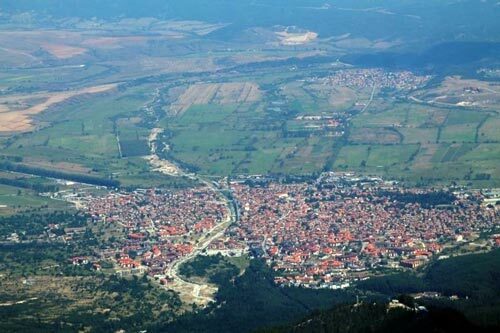 Bansko Municipality is situated in Blagoevgrad District and has a population of a bit over 12,000 people. Apart from the municipal center of Bansko, the town territory includes the town of Dobrinishte, which is a balneology resort located 6 km from the town of Bansko, and the villages of Filipovo, Mesta, Obidim, Kremen, Osenovo and Gostun. More than 60% of the population of Bansko Municipality is engaged in tourism. Agriculture is also well developed where livestock farming and potato production are most common and furniture production. Bansko is situated in the northern foot of Pirin Mountain. Bansko Municipality borders the municipalities of Razlog, Sandanski, Kresna, Belitsa, Gotse Delchev, Garmen and Velingrad which is included in Pazardzhik District. Bansko is easy to reach. It is located 160 km south of the capital Sofia, 120 km of which are a highway. It is 145 km from Plovdiv and 56 km from Blagoevgrad. You can use buses from Sofia and the bigger towns of Bulgaria. Pirin is a mountain of alpine character and its relief is highly varied: from flat surface on river beds to hilly and clearly expressed mountainous terrain. Bansko is situated at 927 meters above sea level; its height along the Mesta River is 600 m, and the highest point is Vihren peak which is 2,914.3 m. The average height is quite high – 1,033 m. This makes Pirin the second highest mountain in Bulgaria after Rila where Musala peak is 2,925 m high. As a result, the resort attracts not only all other tourists, but also alpinists. Near Bansko is Pirin National Park which, together with Rila and Central Balkan, is one of the three national parks in Bulgaria. Moreover, the park is recognized by the United Nations as one of the territories of global importance in Europe. It has the natural biosphere reserve Bayuvi Dupki – Dzhindzhiritsa which is included in UNESCO’s World Network of Biosphere Reserves. The Bulgarian Bansko Municipality was established around 1850. However, there is definite evidence that this region has a rich history dating back to ancient times. The population was wealthy. This is what the remains and then expensive jewelry found during the archeological excavations. 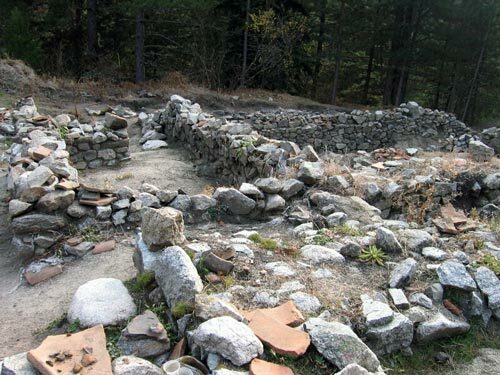 During excavations carried out 4 km from Bansko, a town-fortress was discovered dating back to Thracian times. The finds suggest that the warlike tribe of Dai lived here which is mentioned in the Iliad by Homer. Other finds reveal an even more ancient history: at greater depth, evidence of human activity is found which dates back to 5000 BC, i.e. the ancestors of the Thracians. In different periods of this rich history, the town-fortress was rebuilt as here there is also an early Christian temple. The development continued until the fall under Ottoman rule. The locals here last resisted the conqueror. During the Bulgarian Renaissance there was an extensive trade with the Aegean coast and also with large shopping centers in Western Europe. This period is characterized by quick progress and development of national consciousness. Thus, the region became a center and a repository for the Bulgarian Renaissance and has a great importance for Bulgarian history as a whole. Here Paisiy Hilendarski (Saint Paisius of Hilendar) wrote “Istoriya Slavyanobalgarska” (Slavonic Bulgarian History) and here the prominent enlightener Neofit Rilski (also Neophyte of Rila) was born and lived, as well as a large number of clerics and teachers, and also hajduks participating in the armed struggle for liberation. In the turbulent history of the region it is worth mentioning the Kresna-Razlog Uprising. It was then proclaimed the Razlog Kingdom, its center being Bansko, which existed for 7 days only. Later, in 1896, Bansko was the district center of the Internal Revolutionary Organization of Macedonia and Edirne and Bansko people participated in large numbers in Ilinden–Preobrazhenie Uprising in 1903. Today’s municipality, as a territory, was included in Bulgaria in 1912. The guests of Bansko Resort have the opportunity for hiking and excursions to unique natural landmarks in the unique scenery of Pirin Mountain, as well as routes and trips to see the landmarks in the Rhodopes and Rila. 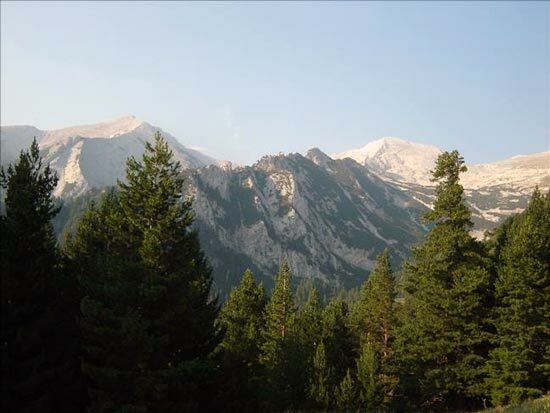 Baykushevata Mura (Baikushev’s pine) is situated only 14 km from Bansko and it is something you can rarely see. The pine is more than 1300 years old, its parameter is about 8 m and it is more than 25 m high. In addition, 5-star Lucky Bansko Aparthotel Spa&Relax organizes hiking tours whose itineraries include unique natural attractions – the lakes: Okoto (Eye Lake), Ribno (Fish Lake), Muratovo, Vasilashki Lakes and Valyavishki Lakes, Popovo Lake, Vihren peak. Many tourists also take advantage of the possibility to visit Yagodinska vase with a 1,100-meter path on its lowest floor which is electrified and accessible. Cultural tourism is well developed in Bansko as the region has a rich past and many historical, religious and architectural landmarks. There are over 140 cultural monuments from different ages, some of which are unique and of global significance. Such is the church in Dobarsko at a distance of 20 km from Bansko. The church dates back to 1614 and in its mural paintings reflect the settlement of blinded soldiers of Samuil in these parts after the tragic battle in Belasitsa Mountain in 1014. The mural paintings are well preserved and protected by UNESCO. There is a great interest in Paisiy Hilendarski’s memorial. Only here you can see the exact copy of the cell where Paisiy Hilendarski wrote “Istoriya Slavyanobalgarska”. There are also other cultural landmarks here: the museums of Neofit Rilski and Nikola Vaptsarov, the Bansko Art School with permanent exposition. 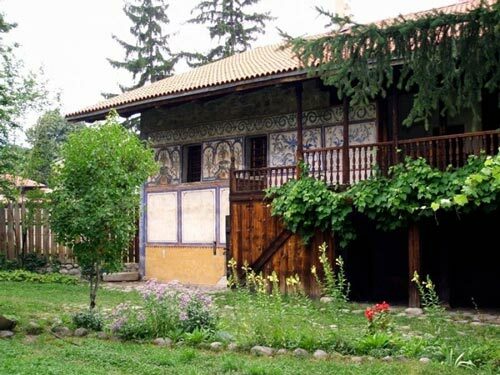 Among the many attractions in Bansko is Velyanovata Kashta (Velyanov’s house). It shows the lifestyle and spirit of the region during the Bulgarian Renaissance. This house is decorated with frescoes and wood carvings which shows grace and a sense of beauty. At the same time, it is also an embrasure to protect the family – thick stone walls, windows with strong bars and shelters. Apart from Velyanova Kashta, all houses here at that time were made with walls over a meter. In addition to protection, they had a very practical household solution on the living floor – for built-in cupboards, closets, etc. Downstairs there were the “offices” – stalls or workshops. Many tourists come to Bansko especially for numerous international festivals, competitions, cultural celebrations that are organized throughout the whole year. Among them we can mention a ballet festival, an opera festival, an international jazz festival, a Festival of the Balkan Music and Cuisine, a festival that gathers folk dances and Latin dances, classical and modern ballet, street dancing. There is also a Bulgarian-Macedonian tour of big hip-hop stars, a children’s international forum for beauty and talent “Little Miss & Mister Galaxy”. The Kukeri Festival is also very interesting both for foreigners and Bulgarians where you can see a variety of attractive bizarre ritual clothes. It “opens the year” on 1 January and is the culmination of the Christmas and New Year holidays that the resort organizes in December. Bansko offers a variety of attractions for tourists’ leisure time. They range from “moderate” to mass sports, mountain riding, cycling and hobbies, to extreme adrenaline attractions. 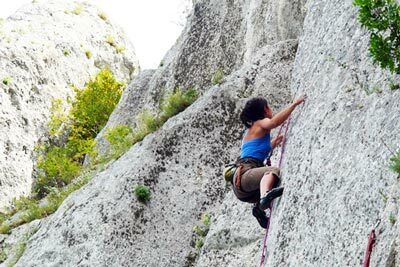 Rock climbing with different difficulty is organized in 10 places and the Peshterite (Caves) locality is 3 km from Bansko. The organizers of these attractions provided professional mountaineering and mountain rescue instructors, secure training rocks and offer all the necessary training equipment. Rafting and kayaking take place along the Struma and Mesta rivers. The tourism business in Bansko works with specially selected rafting clubs which have proven their professionalism in organizing these attractions at a guaranteed level of safety offering it to guests. In addition, there are other attractions – off road trails on terrains with different slopes and difficulty. In Bansko there are conditions for different types of mass sports. Modern sports playgrounds are built where you can play tennis, football, basketball, volleyball outdoors. They have fences, modern pavement and summerhouses for rest. Near the playgrounds there are secure play areas with climbing frames and cradles. Golfers can accept the challenge of playing on mountainous terrain. In Bansko there is a 18-hole course of championship type and another one which has 5 holes. You can also practice in a fully-equipped, modern golf academy which is among the leaders in Central and Eastern Europe. There is a special transport to the courses and back. 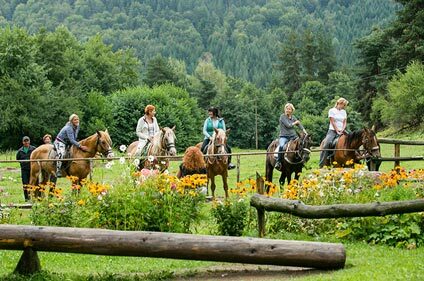 In Bansko attractive hobbies are also organized. One of the options for the fishermen is an outgoing to Ribarnika Complex. You do not have to wear accessories as you can rent everything on site. There they will be able to immerse themselves in their hobby among the unique natural scenery, and then the catch will be deliciously prepared and consumed outdoors. There are several dams as well. Hunters can go to different state game breeding farms – Old Dikchan, Harami Bunar, Batishta, Vishteritsa. Here you can hunt mainly red deer, mouflon and wild pig. All this can be just a photo hunt which is one of the great attractions in the area. The mountain horse riding is held 10 km away from the town – in Rusaliite Base. There is an instructor and horse guide, it is also suitable for beginners. It can be replaced by archery or air rifle. In addition, you can visit a peanut and pheasant farm. From June to September, the area is also suitable for mountain biking. There is a 2,250 m bike lane built by Bansko Municipality, but there are also 200 km marked routes. From mid-December to March and April Bansko is attractive with its excellent skiing conditions. Over 40 million euros are invested in the ski slopes and their ski facilities for modern technology and equipment for sports, safety and comfort. Thus, Bansko ski resort has won its international recognition – for example, there is a competition for the European Cup in alpine skiing and biathlon. In 2019, in Bansko the World Ski Cup for men will be held, and in 2020 – World Ski Cup for women. The Financial Times mentions Bansko as the best ski resort in the entire Eastern Europe. 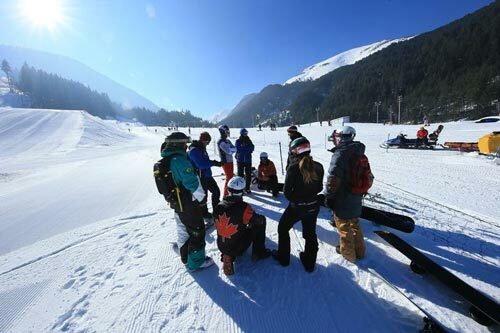 Along with the professional sport in Bansko, conditions for amateurs and beginners are also provided. From the 75 km of Bansko ski slopes, 35% slopes are for beginners, 40% slopes are for intermediate and the other 25 % are for the advanced. All slopes are secured and well maintained. There are also a number of ski schools, ski wardrobes, ski equipment. For the youngsters there is a mobile trail-carousel and a children’s ski garden. A unique 16-kilometer-long ski track is built, connecting the town with the largest slope. It is illuminated, secured by snow machines, suitable for both skiers and snowboarders, intermediate level. There are various lifts in Bansko for the ski slopes. These lifts are convenient for fast access to the beginning of a slope, allowing tourists to enjoy an incredibly beautiful panorama. From the lifts you can choose the chair lifts, cabin lifts and the tow lifts. Their total length is 22 km. The cabin lift has an 8-seat cabin and serves slopes number 1 and 2, it is 6315 meters long and connects the town with the ski complex. There are 3, 4 and 6-seat lifts, the tow lifts are single and two-seat lifts and there is also a children’s tow lift. There are 230 snow machines and these can cover all the routes used so that snow cover can be guaranteed until May. Another recognition of Bansko as ideal conditions for winter sports came from the Snowboard Committee of the International Ski Federation. In January 2018, the World Cup starts here, with a preparatory 10-day camp for snowboard in Bansko who will start a world-class competition. The goal is that snowboarders will be able to prepare themselves in the excellent conditions in Bansko both for the World Cup in Bansko and for the Olympics in Pyeongchang. This year in Bansko there were starts for the Snowboard World Cup with over 200 of the best snowboarders taking part.